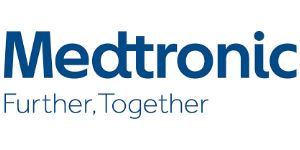 As a global leader in medical technology, services and solutions, Medtronic improves the health and lives of millions of people each year. We believe our deep clinical, therapeutic and economic expertise can help address the complex challenges — such as rising costs, aging populations and the burden of chronic disease — faced by families and healthcare systems today. But no one can do it alone. That’s why we’re committed to partnering in new ways and developing powerful solutions that deliver better patient outcomes. Founded in 1949 as a medical repair company, we're now among the world's largest medical technology, services and solutions companies, employing more than 85,000 people worldwide, serving physicians, hospitals and patients in more than 155 countries. Join us in our commitment to take healthcare Further, Together. Learn more at Medtronic.com.